In a small bowl, whisk together vinegar, Splenda, and pepper; stir until Splenda dissolves. 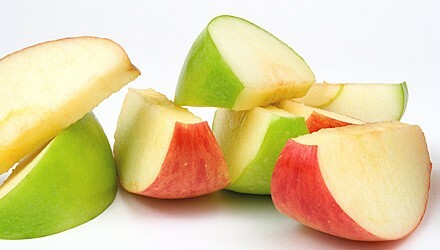 Place apple slices in a large bowl, drizzle with dressing, and toss to coat well. This dish can be enjoyed alone or on top of salad greens (arugula is especially good) sprinkled with blue cheese and toasted walnuts. Exchanges per serving: 1 fruit, 1/2 other carbohydrate. Carbohydrate choices: 1 1/2.